If you celebrate when your enemies are killed, this is duality. If you laugh at those you do not like when they fall in trouble, this is duality. If you think that the spiritual, political or even sports group you belong to is right, and the other groups are wrong, this is duality. If you speak about your Ex in a language of hate or judgement, this is duality. If you do not wish for others what you wish for yourself, this is duality.The examples of duality are endless, but the ones i just illustrated can give you a clear idea about what duality really is. 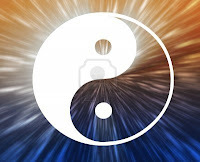 Duality is component that we are born with, and in order for us to achieve personal freedom, getting rid of duality should be at the top of our list. It is one of the challenges that we encounter during our journey on earth. It is sad that the culture we live in these days empowers duality to the maximum. Media is full of messages of hate, and you may be rejected by this culture if you choose love! But does it really matter what people think of you? Is it more important than what you think of your self? I guess not! Before you decide to get rid of this disease called duality, look around you, look at those who celebrate killing a human being because they judged him as evil. Look at those who celebrate violence against people who have a different set of ideas. Look at those who teach their children who their enemy is, and how much hate we should feel for this enemy once they learn how to speak. In some places of the world, the first thing that we teach our children is hate; hate this evil country who believes things that we don't, this evil group who believes in a religion different than yours, hate those non-believers because they are going to hell. Those are the seeds we sometimes plant into our children. Those are the seeds of duality. Once you carefully look around you, and recognize duality, ask yourself if you want to be a part of this mess, does it align to who you really are? Is it something that you would waste your time on during a very short life span on earth? Is it positive? does it make you happy? does it add to your growth? To get rid of duality i decided that i will not ever share in elections again, nor be part of the game called politics, many of you may think it is negative not to share, because that's the hidden message of the culture we live in. When people grow, the world reflects this growth, it is all about the people, not the called political leaders, elections to me are a very good example of duality, where dirty games are played to win votes. But wait, am no asking you to do the same, or act in the same way, if you think that it is important for you to be part of politics, go ahead, but try not to judge others, or become angry when others reject your point of view. Do not think that others are wrong because they do not meet your expectations. Keep your opinions to yourself, and be-careful not to empower duality, because again, it does not matter who leads a country if the people are no longer awakened, are no longer able to dream. You are the one who makes the change, by being good and doing good, by being the mirror that reflects the light. Let people reject you, enjoy it, it does not matter as long as you feel content. We human beings tend to trust the information that goes in tune with what we believe, regardless of the accuracy of this information. Let me give you an example, someone who believes that aliens exist will have much evidence that supports his beliefs, and on the contrary, someone who does not believe in this will also have much evidence to support his ideas. This logic applies to every single thing in life, be it politics, religion, sports, geology...etc..etc..etc. Living outside of the box makes you see things for what they are, you become in charge of yourself, and you recognize life as big illusion when experienced form inside a box. A person without duality is much more pure, content, and positive. You then start to see the spiritual side of those around you. You then know that the called bad people are not really bad, they are just young souls who are in deep need of your healing, and light instead of your judgement and hate. Refuse to label others, or even label yourself. The only label you came with is being human, and that is how you will leave. Other human invented labels are not going to leave with you, and are not going to do you any good in your life. If you have enemies, love them for who they really are, and see them transform into loving friends. Focus on the things that makes you one with all, and remember that hate does not exist, hate is just a reflection of fear, and if you recognize fear as a negative emotion, then it is time to kill your fear forever. Thank You! Gods Or Manifestation Of Source Energy?